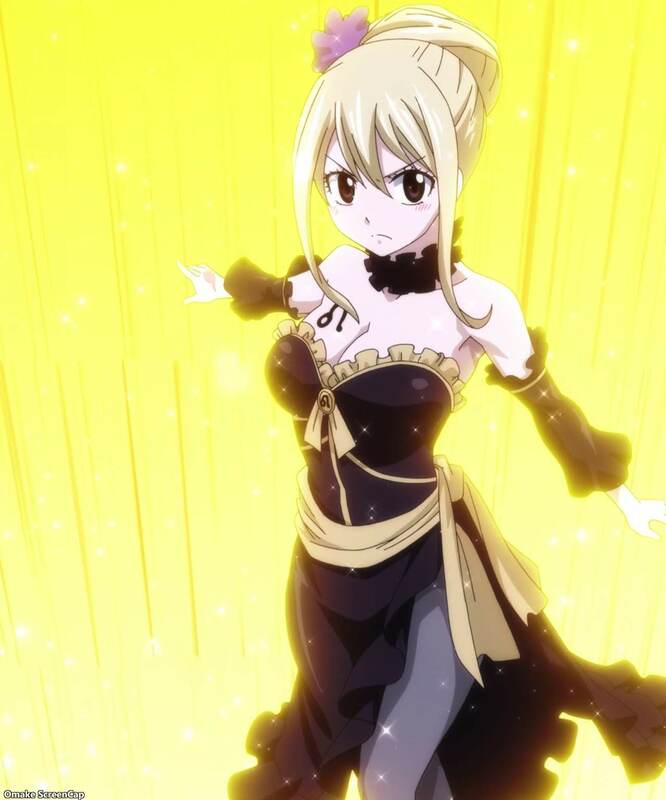 Lucy may have powered up with her Star Dress ability, but she still does the same old Lucy Kick! Everyone got a chance to show how much they've improved during the year, even Happy after he saw Charle fight. He was able to resist eating a fish for a few seconds! Monsters? Gravity attacks? Natsu didn't notice any of that stuff until he caught what he was aiming at - Happy's catnapper Shelia! 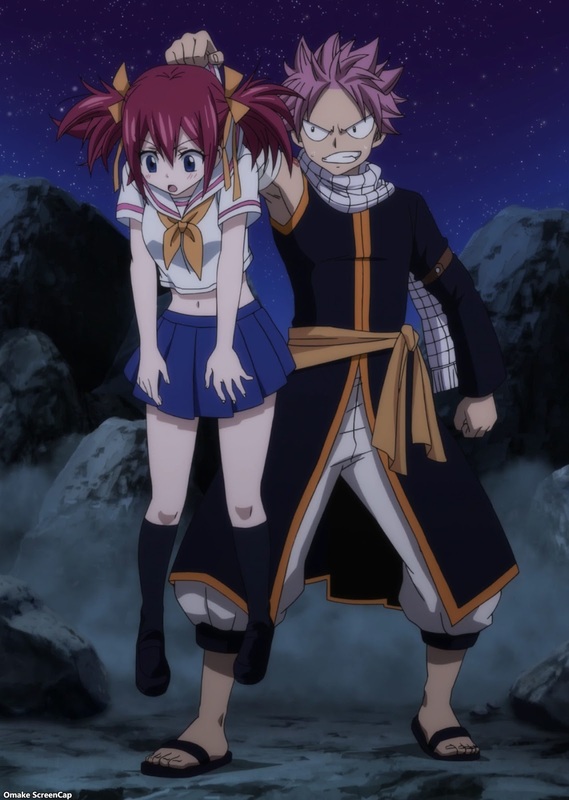 After gathering Wendy and Charle, the next stop for Natsu and Lucy is the Rain Bringer village. 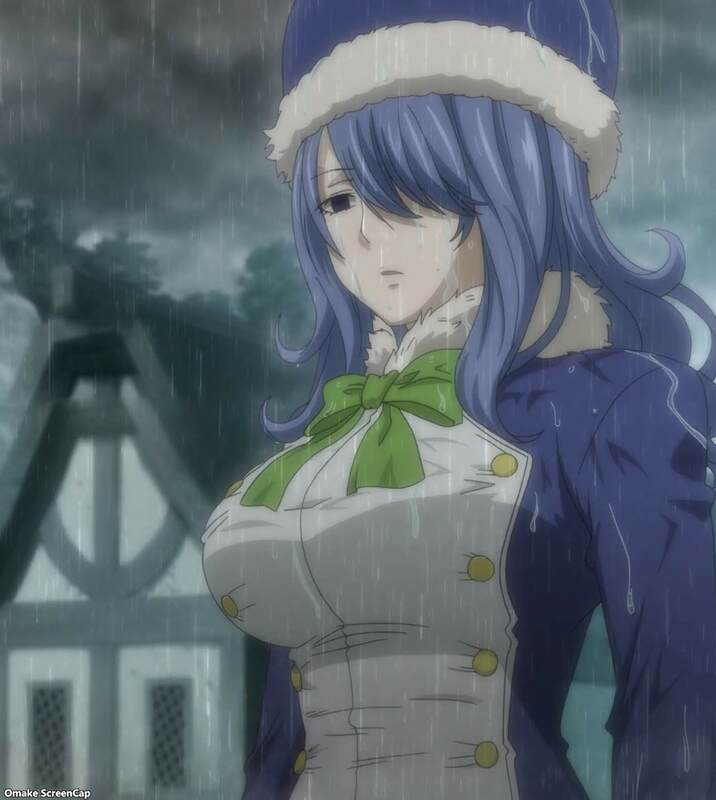 Juvia must be extra depressed without Gray around.